I Love Interior Designers But Do Not Use Them For Your Art. 1. You Would Not Buy Your Car Off The Person Who Built The Garage For It. Yep. It’s as simple as that. Interior design for your space is a whole clever highly knowledgable skill set. Art is too. But its a completely different skill set. Don’t mix your areas of expertise. 2. If Your Interior Designer Is Claiming They Can Source Art Of Course They Can (But They Just Won’t Do It As Well As Me). I can source fabric too. I’d go to Designers Guild, then over the road to Osbourne and Little and then maybe onto Chelsea Design Centre. BUT I can pretty much promise you I wouldn’t be able to advise which fabric should be used where and why, critically which fabric shouldn’t be used where and why and I am also sure that I can’t find you the little gems, the quirky pieces and the up and coming brands that years of experience give you. I have 15 years of art world experience. You are going to get a better art result with an expert than a with a generalist – guaranteed. 3. Think About Why Your Interior Designer Really Wants To Source Your Artwork. If it is to make another sale or a commission then I’m afraid you’re going to need to make the call that your money should be being spent with the right person for the job, not just the person on the job who is currently working on it. If you are feeling bad about this, please be reassured that I pay all the interior designers that introduce me to a client a percentage of any profit I make so that they still make some fee but without doing any of the work. This sounds like a bargain to me?! If it’s for more altruistic reasons and the interior designer wants their scheme to remain intact, to have the best artwork on the wall that does the interior justice then I am fairly confident I can deliver a better result for them than they can do themselves. And I still pay them a fee. This sounds like a win win to me?! Most of the top end designers use art consultants so if yours isn’t coming to you with this as a proposal then ask them why not. Do they have your best interests at heart? 4. Interior Designers Can Use Art Suppliers That Look Like Art But They Are Not Really Proper Art. At risk of upsetting a whole corner of the art market here, because interior designers are generalist, busy and not art experts, they can end up recommending framed decorative works from art companies that are frankly nothing more than glamorous framed Athena posters (but without the tennis bottoms). And you can spend a lot of money on them. I am sorry but I have never and I almost will never recommend work from these providers. 99.9% of the work I recommend comes from live (or once alive) real artists, crafts people and makers and often makes a considerable and happy contribution to their financial well being in that particular month. Even a relatively small purchase by you can make a really large difference to an emerging artist. I think it is much much better karma to have original works from artists on your wall than framed works from a posh poster shop on the Kings Road. If your interior designer ever suggests this to you, I suggest you scream, run a mile and then pick up the phone to me. 5. Interior Designers Love Following Me On Instagram But It Doesn’t Make Them Art Advisors. I have quite a few followers on instagram that are interior designers. Some of them have given me business and others haven’t. Yet. During less charitable and loving moments, I sometimes meanly dream of blocking the odd person that I spot who I am fairly sure has nicked an idea and bunged it on a clients wall (often in direct sunlight and without the right framing – oops) . But then I remind myself that people can follow me all they like, but they can’t possibly have the experience, contacts and art world knowledge that I have gained from going to 100s of art fairs, degree shows and commercial art galleries over the last 15 years. I can (and do!) look at gorgeous pictures of award winning homes till the cows come home, but that doesn’t make me an architect and it never will. So there we have it. 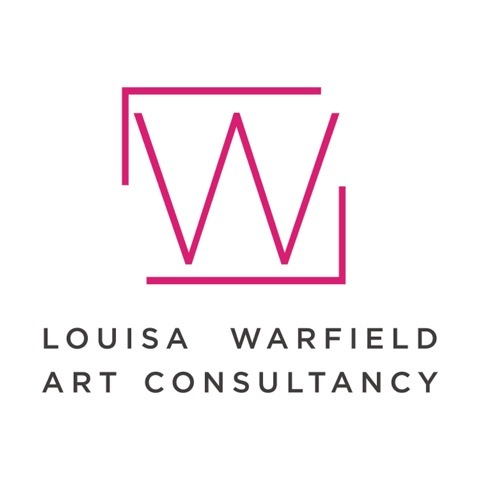 If you need an interior designer that loves and appreciates the value of hand picked art in a scheme – I have lots that I work with that I can happily recommend – they do a fabulous job that I could never do. If you have an interior designer working on your project and you or you both decide that you would like some expert art help and independent professional art advice do call me on 07855 803509.